WHY, I OUGHTA… Moe and Curly Howard and Larry Fine in a publicity still for the 1941 short comedy An Ache in Every Stake. Photo courtesy of Bison Archives and HollywoodHistoricPhotos.com. 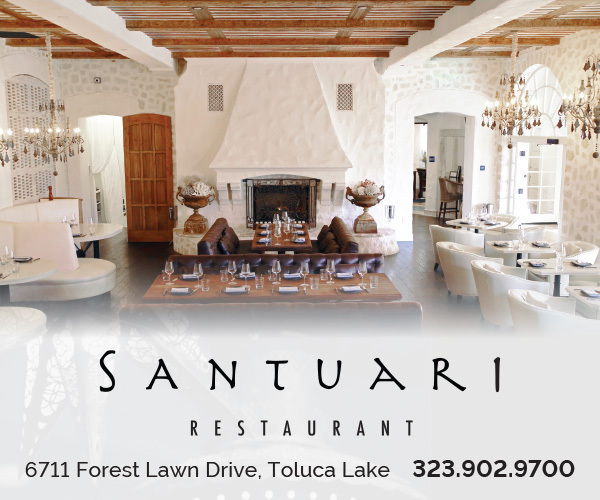 Toluca Lake has long been a haven for celebrities. In fact, the Howard brothers — Moe, Samuel (Shemp) and Jerome (Curly) — of Three Stooges fame all lived in Toluca Lake at one time. 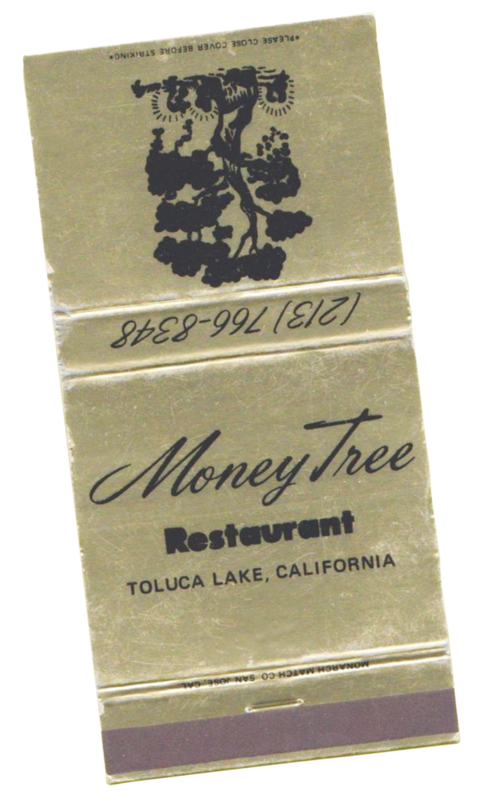 What may not be as well known is that the Money Tree, a popular watering hole on Riverside Drive during the late ’50s and ’60s, also has a Stooges connection. The Boys owned the Money Tree at some point, says Eric Lamond, whose grandfather Larry Fine portrayed Larry in the Three Stooges. “No one can recall when they bought the Money Tree,” he says of the comedic trio’s purchase. “We didn’t know until later on that they had bought it. 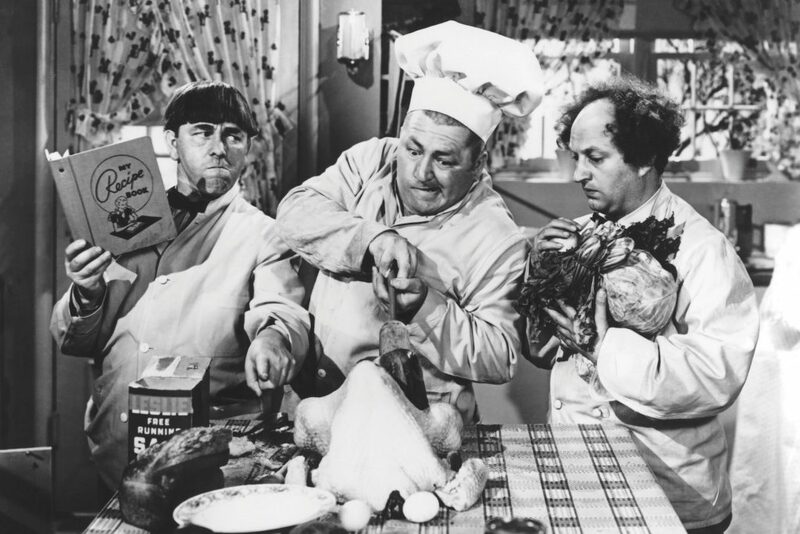 Initially, it was owned by Moe, Larry and Joe DeRita.” (Moe, Larry and Shemp were the original Stooges. DeRita, who became known as Curly Joe, joined the group in 1958.) “They owned it for quite a while,” Lamond says. Along the way, Moe became the sole proprietor. The bar was a “cozy little place” that was always busy. “Whether noon or 8 o’clock at night, it was always full,” says Lamond, who, with his friends, frequented the Money Tree. “You’d look around the room and you’d see a lot of actors, guys who worked all the time. ‘Wait, I saw you in a movie a week ago,’” Lamond says he’d think when he saw a familiar face but couldn’t name the actor. But he recognized and identified Ben Johnson, who appeared in many Westerns. “I saw him in there fairly often,” Lamond says of Johnson, who later would go on to win an Oscar for best supporting actor. Frank Sinatra, Dean Martin and Liza Minnelli were among A-listers who reportedly stopped in at the club, which over the years has evolved into what is now Forman’s Whiskey Tavern. Look for an article about Eric Lamond and his experiences growing up with the Three Stooges in the next issue of Toluca Lake Magazine. Stooges fans can visit threestooges.com or attend the 21st annual Three Stooges Big Screen Event at the Alex Theatre in Glendale on November 24.